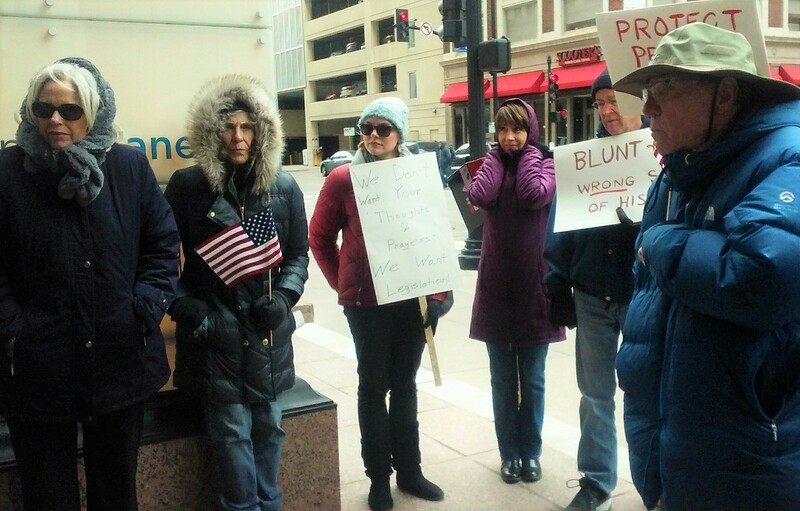 Thank you to everyone who made it to Senator Blunt's office last week to ask him to act on commonsense gun laws. 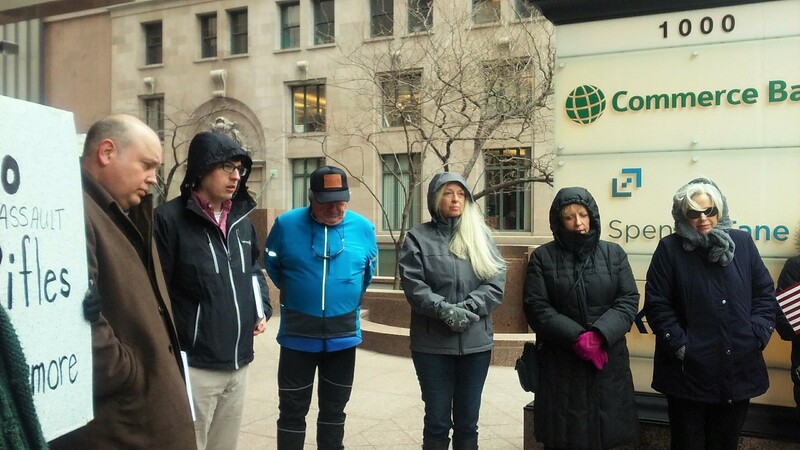 It was cold but you showed up and spoke out anyway. Thank you so much for raising your voices for good. In Missouri News, a Northland Mo Senate seat is up for grabs in a June 5 special election, where Rep Lauren Arthur was just selected as the Democratic candidate; both the House and Senate had surprisingly productive weeks with many bipartisan bills passed; the Greitens investigation continues; and St Louis lost federal housing funds due to last year's passage of SB 43, which brought Missouri law out of compliance with federal standards by making it much more difficult to sue on the basis of harassment or discrimination. Read more in our Missouri News Roundup. At the national level, the president surprised his own cabinet, diplomats and party members by announcing he would meet North Korea leader Kim Jong Un. He delivered to his base and primed a PA special election race with promises of new tariffs on steel and aluminum imports. But even a good February jobs report couldn't rebalance the salacious front on the Stormy Daniels affair or the Mueller team now investigating a meeting in the Seychelles weeks before the inauguration between a Middle East powerbroker, a Russian executive, and Eric Prince. While we recognize that you may often be feeling overwhelmed, remember that it's easy to take action and we love helping to show you how! 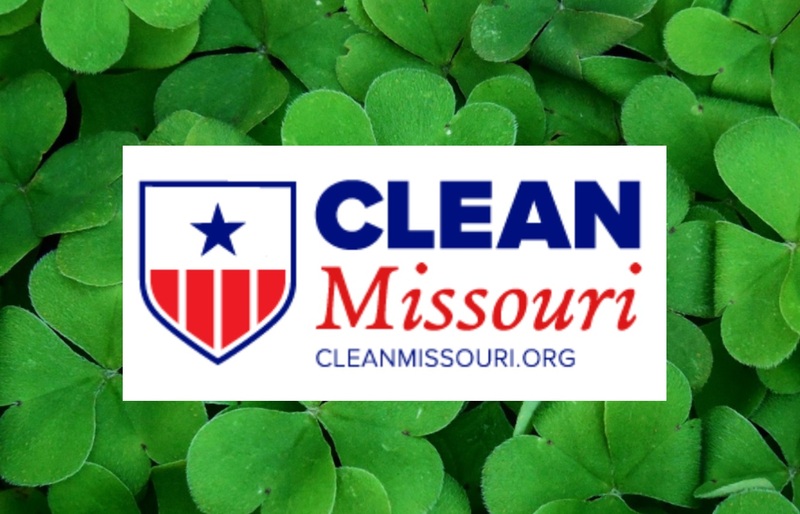 Shamrocks and Signatures: Clean Missouri at the St. Pat's Parade: We will be joining our friends from Jobs With Justice in the final push to get signatures for the Clean Missouri ballot initiative by gathering signatures for Clean Missouri at the St Pat's parade. We'll enjoy the the the silliness and shenanigans St. Patty’s Day brings, as Broadway Blvd becomes paved in green biggest parade of the year. There will be a lot of people waiting along the parade route who will be interested in bringing light into Jefferson City and kicking big money out of politics. This is the single most important thing you can do to help our democracy at the state level. We simply cannot overstate the importance of Clean Missouri. Plan to meet us at SEIU at 9am on Saturday, March 17, and we will go from there. 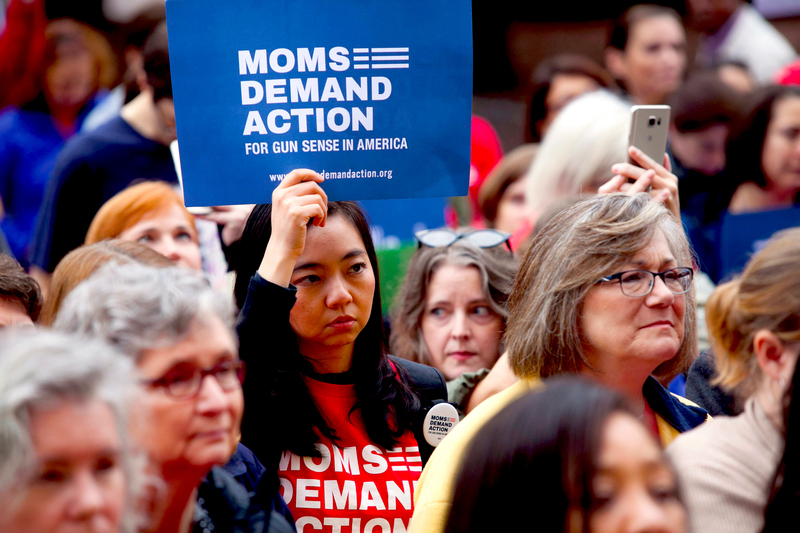 Join Us: Connect and work with other moms in the Kansas City area who are saying ENOUGH to gun violence by coming to the next Moms Demand Action meeting on Wednesday, March 14 from 6pm - 7pm at St. Mark's Hope and Peace Lutheran Church at 3800 Troost Avenue. Please note the new location for the monthly member meeting. 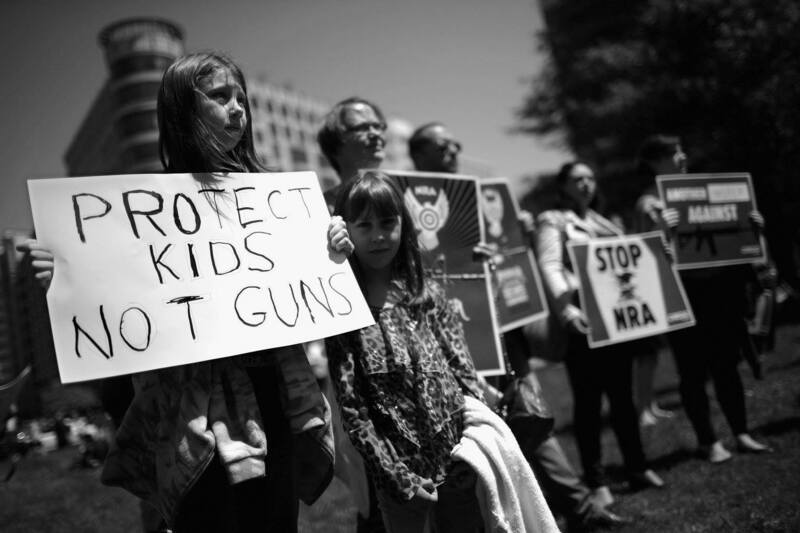 March for Our Lives: Due to the overwhelming interest (and a conflicting event scheduled at Mill Creek/JC Nichols Park), the March For Our Lives on March 24, from noon to 4pm, will be held across from the Nelson-Atkins, in Theis Park. 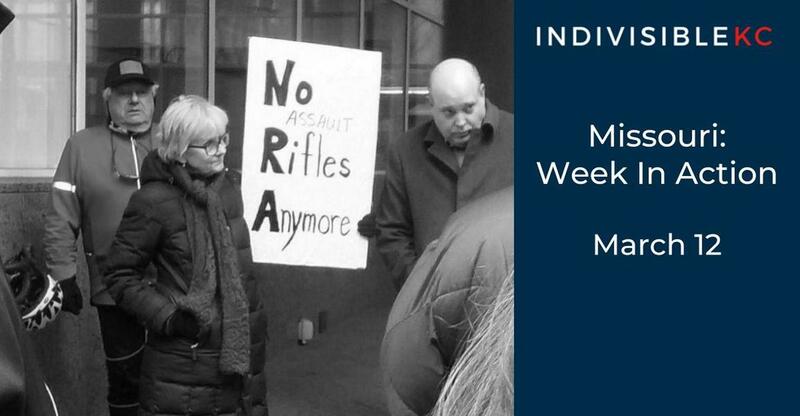 Make a change for our future and be part of the nationwide effort to advocate for weapons reform. We need volunteers to help ensure an organized and orderly event; email volunteers@indivisiblekc.com if you're interested and available to assist. 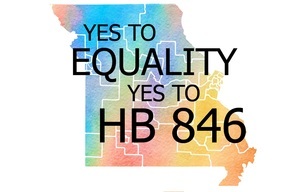 Yes to Equality, Yes to MONA, Yes to HB 846! 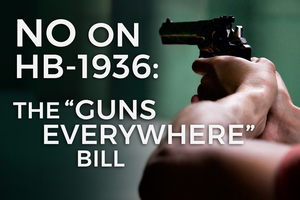 ​Tell your legislator to vote NO on HB 1936, the Guns Everywhere bill!